Token: EFX, an NEP-5 Token built on the NEO Blockchain. There is no better opening statement than to quote Sir Arthur Charles Clarke, the great mind that gave us 2001 – A Space Odyssey. It all started with a general fantasy of extraterrestrial life. Only to find out that reality is sometimes stranger than fiction. It looks like the human conquest of a better earth has led us down the path of Artificial Intelligence. Computing brought an answer of its own, with machines constantly surpassing us in many tasks. I personally recall the historic “Deep Blue versus Garry Kasparov” first chess game on February 10, 1996. The heartless machine defeated one of the greatest minds alive in a game that deeply relies on intuition, mental strength, personality, and strategy – typically human traits. Yet the answer is loud and clear: humans ought to choose their battles. A few years down the path, AI markets are beating all records of growth. Expected to expand to $10.5 Trillion by 2020 [Statista – Revenues from the artificial intelligence (AI) market worldwide], AI is disrupting most aspects of life on earth. It’s upgrading commerce, healthcare, transportation and even criminology. It’s not a contender in a chess game anymore. It’s an ally of silicon and steel with a soul anchored in algorithms and big data for blood. That being said, only high tech giant like Google, Amazon, and Facebook seem to have a say in leading these algorithms. This is mainly due to the huge initial capital expenditures and the market entry barriers. But Blockchain startups are increasingly taking part in the picture as we speak. This article focuses on Effect.Ai, an Amsterdam based startup that leverages the capabilities of NEO’s blockchain in AI development and AI related services. Let’s begin with a brief presentation. 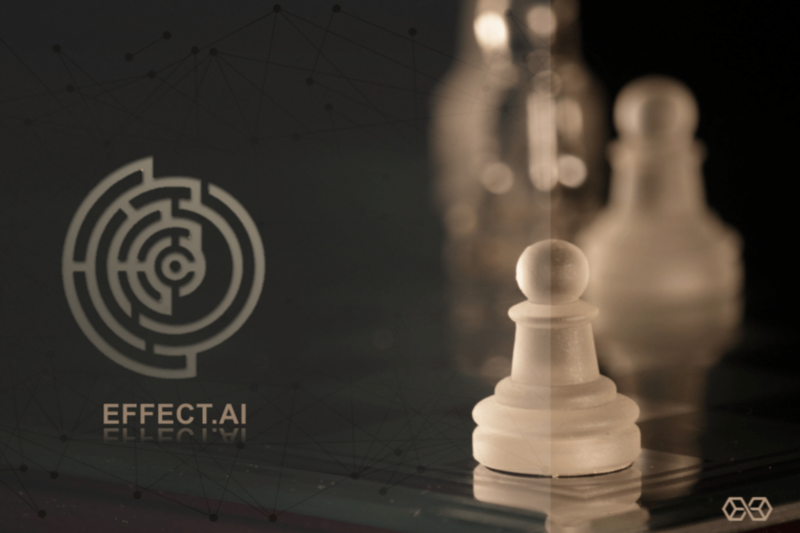 The idea behind Effect.ai is to build the “Effect Network”, a decentralized ecosystem for AI development and AI related services. This network aims to provide an alternative to services like Amazone Mechanical Turk, IBM Watson, and Google Cloud ML. The Network will operate using smart contracts developed on the NEO Blockchain. 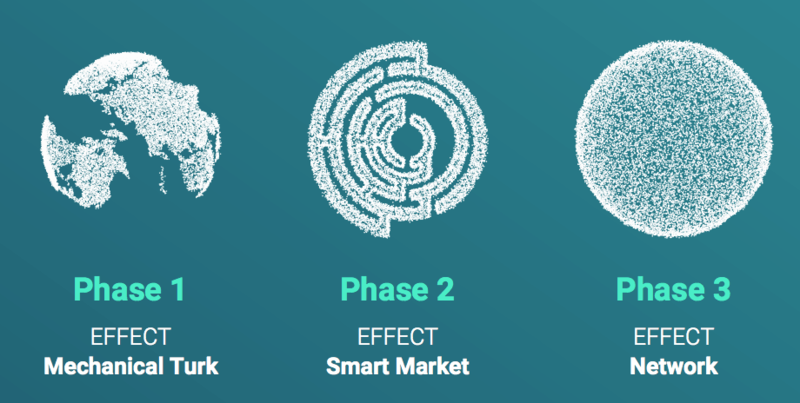 Unlike services provided by Amazon, the Effect Network takes no commissions and greatly lowers entry barriers, which goes hand in hand with its goal to create a fully private, decentralized and healthy AI market. Going through the website, it’s clear that the startup is still in the early stages of ideation. There are typos here and there and inaccurate statements. That being said, the startup is clearly looking for a scalable business model that begins with the HIT (Human Intelligence Tasks) market, before expanding to a global scale. Hence, there will be three different phases of the project, discussed below. The Effect Mechanical Turk (EMT) operates as a decentralized alternative to Amazone’s MT. It’s a marketplace for tasks that require human intelligence, like identifying objects in photos, transcribing video/audio recordings or performing data de-duplication. EMT will bridge requesters and workers while regulating task completion through smart contracts. The system architecture is presented below. Using the EMT, workers will be compensated using the Effect’s proprietary token (called AIX in the whitepaper, EFX in the lightpaper) on a peer-to-peer basis. Implications are to boost the token’s liquidity and overall value while cutting all third-party fees from tasks. It’s worth mentioning that such fees vary between 20% to 40% in existing HIT centralized marketplaces. However, one can’t help but notice the absence of any clear arbitration in the system. There will only be a review/rating process that rewards “Honor Tokens” to good achievers. These tokens, however, can’t be traded or sold, and expire over time (no more specifications have been provided). This is the projected marketplace for AI algorithms. In a nutshell, service providers can trade their AI knowhow for usage fees specified in form of EFX tokens. Users, on the other hand, will be granted authorizations registered on a blockchain to grant them access to the specified AI algorithm. The final deployment phase will be integrating all the algorithms to the NEO Blockchain. This will grant the project a global scalability and tends to eliminate points of failure. Hence, computation will be distributed. The Network will be based on deep-learning networks such as Caffe, MXNet, and Tensorflow. The Whitepaper was released in November 2017 and is a concise and simplified read of 13 pages. To help readers get around technical details, the team released a Lightpaper with almost the same content compiled in a more marketing oriented look and feel. The document’s quality is above average although I personally was expecting more technical details rather than repeating the same statement. Nevertheless, it’s a burgeoning startup that is seriously involved in the technology and not only looking for easy funding. The team has been working with little funding and succeeded to collaborate with NEO to set up the platform. No prototype was available for testing as of press time. The token sale event is scheduled for March 2018, with no exact date divulged yet. 650 Million EFX tokens will be put for sale, targeting to raise €4.28 Million (soft cap) to €14.28 Million (hard cap). NEO and GAS will be accepted with a minimum investment of €50 and a maximum of €25,000. 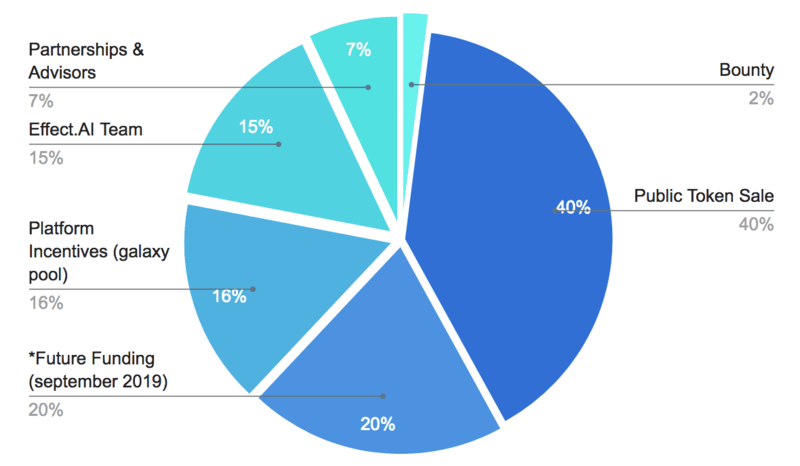 It’s worth noting that 20% of tokens will be locked in a smart contract for 18 months. These tokens will be released for the second round of funding for the later phases of the project if the ICO succeeds. At first glance, many of the project executive members met while working at Itsavirus. The project’s CEO is Chris Dawe, a graduate of the University of Toronto with a background in digital marketing and entrepreneurship. He led a project manager position in itsavirus. There is also Jesse Eisses, Co-founder, and Blockchain lead, with a previous experience as a developer for Itsavirus and a short stop at MyAdbooker. He’s a University of Amsterdam graduate, 2017 intake, with a BS and MS in AI. 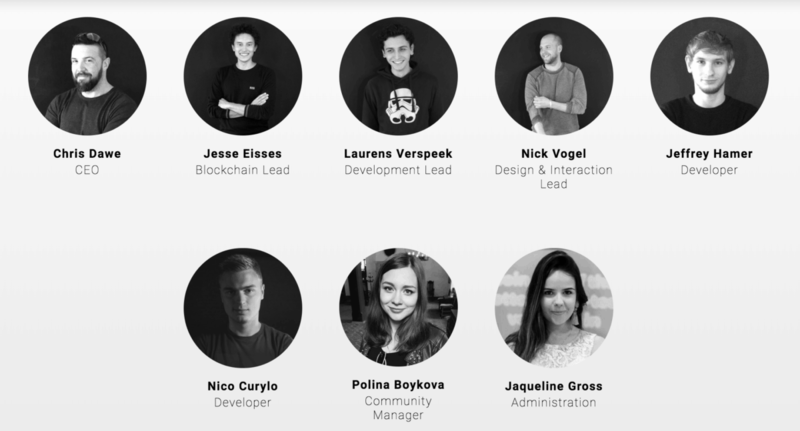 Another co-founder and development lead is Laurens Verspeek, a web developer with a degree in computer science from the University of Amsterdam and an MS in Computer Science from VU Amsterdam. The website fails to mention any advisory board members and looking at the team, there is an obvious need to recruit more AI focused personnel in key positions. AI requires an acute technical savvy, but decentralized AI that disrupts the monopoly of companies as big as Amazon and Google needs more than a good initiative. 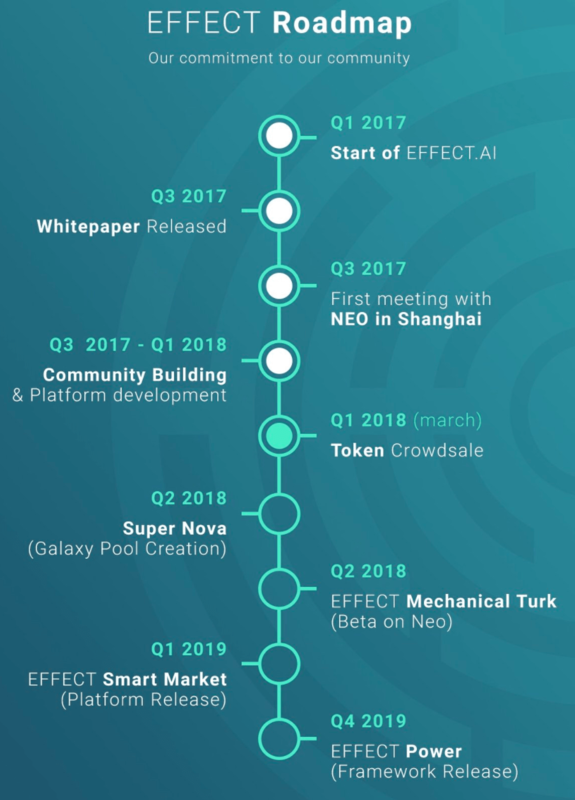 The idea behind the project dates back to 2016, with the startup finally launched in Q3 2017. In Q4 2017, the startup divulged its whitepaper and set the March 2018 date for the crowdfunding ICO event. Phase 1 of the project officially began in Q4 2017 with a prototype yet to be presented. The full release of phase 1 is set for Q3 2018. Phase 2 is currently set to come out in Q2 2019 while Phase 3 is set for Q4 2019.